mwe3: What is the story and impetus behind the 2012 CD release of An Illustrated Silence and when and where was the new album planned and recorded? KEVIN KASTNING: An Illustrated Silence, the new album, was recorded in November 2011 in Massachusetts at Studio Traumwald, which was the same studio where we recorded I walked into the silver darkness in November 2010. Both albums were recorded in two days each. The mood behind the sessions for An Illustrated Silence was a bit different than the sessions for I walked into the silver darkness which was our first album together. I think the first album was perhaps a bit more cautious or exploratory, for lack of a better word; the first time you work with someone obviously youre not as completely comfortable as when youve worked with someone previously and established a relationship and a communication. Although Mark and I connected rather strongly practically from the first track we recorded together. Hes a wonderful and unique artist, and I feel fortunate to be working with him. The sessions for the first album had no formal preconceptions; neither of us came into the studio with anything composed or written out. In fact, for the first album, I suggested we not bring any sketches or compositions into the studio with us. This is an approach with which Im very comfortable, but I think Mark was a little shocked; it was his first time he had gone into a recording session with seemingly nothing prepared. 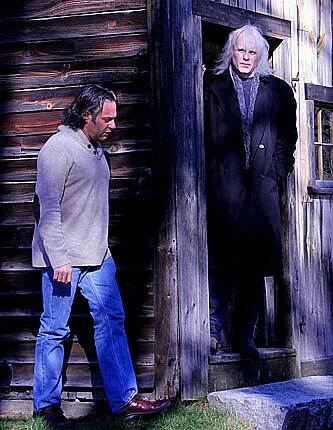 I suppose the planning for the new album began the day after the conclusion of the recording sessions in 2010 for the album that would become I walked into the silver darkness. We knew we had a great chemistry and were kindred spirits; both as guitarists and composers. Both Mark and I have each composed many pieces for classical chamber groups, orchestra, and solo instruments, such as piano sonatas. We share some of the same influences of composers and art, so were coming at this from a very similar place, even though our instruments are very different. Marks main instrument is 6-string electric guitar with a myriad of processing and interesting voices; my main instruments are the acoustic 16-string and 17-string Contraguitars. MARK WINGFIELD: I was really pleased with what happened during our first recording session, which resulted in our first album, I Walked into the silver darkness. So a second recording was something we discussed pretty much immediately. I was very interested to see where else the music would go when we got together a year later. There really wasn't any planning as the album, like the last one, was completely improvised. But I think with the new album we had perhaps more of a sense of where we might head, just based on what we'd recorded on the first session. Though for me this was more an intuitive feeling than anything concrete or planned and I'm sure Kevin would agree. KEVIN KASTNING: I do agree indeed. The year between the first two sessions really gave us a good opportunity to step back, get some perspective on what wed done, and discuss where we wanted to go. 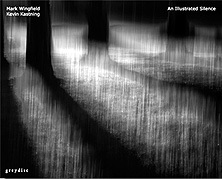 mwe3: Can you compare the sound, chemistry and mood and what you were going for on An Illustrated Silence with the 2010 Kastning / Wingfield album I walked into the silver darkness album, which was also on Greydisc. KEVIN KASTNING: I wasnt really thinking about the chemistry. I knew it was there. Mark is excellent at real-time composing, and as a guitarist really has his own and very unique voice. Mark and I have a very strong chemistry; something akin to subliminal communication when performing. This is part of the reason that the pieces on the albums sound like fully written-out compositions; we both seem to know where the other is going at all times. It also requires acute listening and being really tuned in to what the other person is doing, responding appropriately to that, and allowing the composition to flow and unfold organically, instead of trying to force it into becoming something else. Which is really the same approach I take for written compositions; I let them tell me what they want and let them go where they need to go, like a river meander. Again, with Mark also being a composer and not just a guitarist, this is a tremendous commonality. I dont think we had any mood defined. The one thing upon which we agreed at the outset of the Illustrated Silence sessions was that we didnt want to make I walked into the silver darkness II. There is a recent magazine review that states that the new album has a sharper focus than the first one, and Id agree with that. I think its deeper and has a measure more intensity. I think we expanded and took more chances on the new record, and you can feel that in the compositions themselves. The overall soundscape between the two records is somewhat similar; both were recorded in the same studio, and we used the same arsenal of instruments on both. I think we both liked the overall recorded atmosphere and mix of the first one, and hence did a similar recording and mix approach in that regard for the second album. MARK WINGFIELD: I was very interested to see if the chemistry of the first album was a one-off or if it would still be there the next time we played together. I had a strong feeling it would be there. When we started recording, if anything, I felt the chemistry was even stronger on An Illustrated Silence. Our approach is to improvise in a very particular sense of the word. That is to aim to compose in real time. In a sense, to improvise as if we were playing a composition. From this point of view also, I felt the second album was even stronger. Though I still love what we did on I walked into the silver darkness. Kevin has a tremendous imagination and incredible skill at composing on the spot, reacting to the situation and pulling something amazing out of thin air. He's also consummately skilled at exploring the moment if something really special emerges compositionally or atmospherically. So working with him in such a musical environment is a real privilege. But also I think we see a lot of the same musical vistas in our imaginations which is where part of the chemistry comes from. So we'll reach a point in the music and both of us will sense where it needs to go next and go there together, to the same place at the same time. I think this is in part because we are both composers as well as players and also that we like a lot of the same music. mwe3: What guitars did you both use on An Illustrated Silence and what other guitar news can you report regarding new guitars, new guitar companies that youre working with, other gear and more? KEVIN KASTNING: My main instrument for the An Illustrated Silence sessions was my Daniel Roberts Stringworks Kevin Kastning 14-string 7-course Contraguitar model C1. The Contraguitar has become my main instrument since 2010. Its amazing to me; the possibilities on it are vast and deep. In fact, I feel like Im still learning it. It is pitched a full octave below guitar; the low four strings are the same pitches as a bass, and it goes up to high A, well into the register of the Alto guitar. The scale length is 30 inches, nut width is 3.25 inches. Its a big beast. I also utilized my Santa Cruz 12-string KK-Alto guitar, and the Cervantes Rodriguez classical guitar. The Alto was used in various tunings of my own. Since the last studio dates with Mark, Ive added a second Contraguitar; however, the new model is a 16-string instrument. New developments with my instruments are mainly centered around the Contraguitars. In 2010, I received the first 14-string 7-course Contraguitar. A little background: the Contraguitar is by Daniel Roberts Stringworks. Ive worked with Dan for twelve years now; he is an incredibly brilliant and gifted luthier, and has become like an artistic partner and collaborator to me. The full back-story for the Contra is on my website, complete with the design and conception history and photos of the build process, so I wont repeat it here. I use a lot of unorthodox tunings on double-course instruments. Except for the classical, all my main instruments in addition to the Contras are double-course: the 12-string baritone, 12-string Alto guitar, and 12-string Octave guitar. All used in altered tunings. However, the Contra was used in octave tunings on both albums with Mark. After the first sessions with Mark, I started experimenting on the Contra with altered tunings. In fact, a few months after those sessions, I recorded an album with guitarist Alex de Grassi, and for those sessions, I used the Contra in both octave and intervallic tunings. The problem is that to use intervallic tunings, the instrument has to be set up for that. It requires different string gauges and types; thus changing the intonation at the bridge; as well as the action. As soon as I knew that the Contra was becoming my main instrument, and that I wanted to use it in both tuning scenarios, I contacted Dan Roberts and commissioned a second Contraguitar. This one came to be known as C2, and I use it in altered and intervallic tunings. This year, both Contras were sent back to Dan for some modifications. As I spent more and more time with them, it became apparent that an additional treble course would further and extensively open up both harmonic and melodic possibilities. The high A course (the highest course on the 14-string configuration) was a big step in this direction, but adding a high D course above A would allow me to further expand, both harmonically and melodically. Both Contras would support a high D course. We had originally designed the Contra neck width for 16 strings, so the required spacing was there and available. C2 is now a 16-string 8-course instrument, and its amazing; just fantastic. Dan did such a wonderful job with it. Ive also become an artist endorser for Hipshot tuners, and I have three of their double-stop bass Xtender tuners on C2, which allows for three possible pitches for that string. So, when using C2 in intervallic tunings, I have chords with up to 16 voicings. Add in the bass Xtenders, and I have at once up to 22 different string pitches at one time. Ill be adding the Xtenders to C1 soon, too. After using C2 as a 16-string for a while, and seeing how many new worlds this unlocked, I was feeling limited when Id switch back to C1 with only 14 strings. The nut width on C1 was wider than C2, so not only was there space for adding the high D course, but we also added a low B or C single course below low E; thus making C1 a 17-string 9-course Contraguitar. This is just a massive instrument. Id often used the Xtender tuner on the low E on C2 by dropping it to a low C, so I knew it would work, both physically and tonally. I did utilize the low C tuning on C2 quite a bit prior to the C1 modification. I also endorse for G7 Performance Capos, and Nick Campling at G7 has been really supportive to me. I have various G7 capos I use on both Contras, and I will sometimes capo off the top three or four courses around the 8th or 9th fret, which adds a very high treble register way above the other bass courses, which is a great effect. Its an approach that really changes my thinking and forces me into a different technique and mindset that provides new possibilities and options otherwise unavailable. Using a capo in this manner makes the Contra sound like Im playing two instruments at once. So, a long answer, but Ill be using both Contras in various tunings on the upcoming recording sessions with Mark. Another texture with which Ive been working of late is the Ebow. 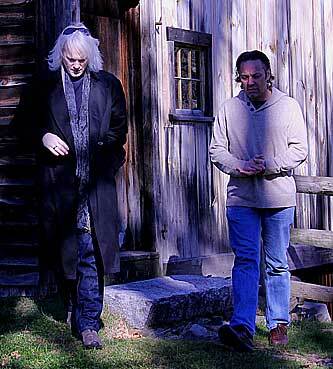 I used Ebow on 12-string Octave guitar on one track on my latest album with Sandor Szabo, The Book Of Crossings. I will probably be using Ebow on the upcoming sessions with Mark, too. My next project with Daniel Roberts Stringworks is in the design phase now; well start on it sometime next year. It is going to be very unusual. MARK WINGFIELD: I mainly use just one guitar for everything I do which is a Patrick Eggle LA plus. Its a British made hand build guitar made entirely out of maple. Its one of the original first run Eggle guitars so is quite rare. I chose it out of a set of five LA plus guitars. I spent almost a whole day with these five guitars before I chose this one, each of them sounded great but each one different. I have other guitars of course but I inevitably reach for this one whenever recording and for most live things too. I just love the sound and feel of it. I stopped using conventional pickups quite a while ago but instead use a Hex pickup which gives me a separate signal for each string. This means I can use the Roland VG systems and I also have access to midi conversion so I can trigger synths and samples. My main guitar sounds come from a Roland VG-88. This is not a synth and does not involve midi. Its a guitar processor and amp simulator which allows you to go much deeper into shaping your original guitar signal than conventional effects do. This is made possible in part by the separate string outputs. I can get much closer to the guitar sounds I imagine in my mind with this level of sound shaping than I can with conventional amps and effects. There are a couple of pieces where I play samples of recorded noises instead of guitar sounds. This is done using a laptop with MainStage hosting various samplers, synths and effects which I trigger by sending midi from my guitar. To get the midi signal I use an Axon guitar to midi converter, its the best one I've found for tracking. There is also a piece where I feed the guitar audio signal into the laptop to create sheets of sustaining sound. This is an effect which allows me to play single notes into the laptop which sustain to form a chord, which Kevin and I can then play over. I particularly like this technique and plan to use it more in the future. For software I use a wide range of plugins all hosted in MainStage. I like MainStage because its so flexible, you can completely design your setup, link pedals, mixers or on-screen controls to any parameter in any plugin. This gives you amazing control over designing your processing. You can completely invent your own functionality and interface, without having to do any programming. Also I like the way it looks, no clutter, not pretending to be made out of aged metal or anything like that, it looks calm, it gets out of your way visually so you can just concentrate on the parameters which are all resizable and colorable, for me this is important, especially on stage. For plugins I'm using a range which vary depending on what I'm doing. I use Spectrasonics Omnisphere a lot. When I want to trigger a synth I really don't look anywhere else these days. Omnisphere is an example, in my opinion, of software which has gone well beyond where any hardware can go. The complexity and organic richness of this synth are simply beyond the ability of any hardware I've ever heard. There's really no point in trying to take hardware synths to this level, they can't compete with the capabilities, or sound quality of software at this stage. I think its likely everything will go this way, and in many ways I hope it does. I love being free from the tyranny of having to cart around amps and having to make due with what's available to rent in a particular city on tour when you can't bring your amp, let alone the flight cases I used to truck around. But the worst thing about all of that for me was that it was so inflexible sound-wise. You'd truck around huge flight cases, full of racks of gear and amps and out of all that you'd get two or three good sounds. Those sounds were never what I was after, I felt like I was playing sounds which weren't what I was hearing in my head, simply because that's all this technology could manage. Even with the "modern" rack gear, the basic sounds hadn't essentially changed since the 1960 and 70's, it was pretty hard to get a sound which wasn't essentially based on all that. And I kept saying to myself, I hear all these other sounds in my head, its the 21st century, why am I using gear that's only capable of producing slightly newer versions of sounds from 30 years ago? Which is why when I came across the Roland VG, I realized that this was the first time I'd seen guitar sound technology which was actually making use of advances of the last 30 years. Now of course there are others, but so far none I've seen are as flexible as the Roland. Software on a laptop is simply another example of this move into the 21st century and I suspect it will continue to move in that direction. Having said that I still have a lot of hardware on stage. As far as actual processing, I only have the VG-88 (sometimes two of them) and the laptop. But I have an array of controllers, up to five continuous controller foot pedals, a Korg Nano Kontrol which is like a mini mixing desk where each knob sends out a controller message. I also use an iPad to control Omnisphere, the multi touch screen is fantastic for fluid controller movements. All this depends on what I'm doing of course, sometimes the set up is very simple with just a couple of pedals other times I'll have the full range. mwe3: While working out the tracks An Illustrated Silence, how much improvising was there and how much of the music was sort of worked out in the studio? Do you have any favorite tracks from this album as well as I walked into the silver darkness? KEVIN KASTNING: All the pieces on An Illustrated Silence were improvised, or more accurately, composed in real time, in the studio. Going into the sessions, nothing was planned; nor was any of the pieces on the album composed or sketched out ahead of time. Our usual approach is to discuss the piece were about to record just prior to rolling tape. The discussion might include such compositional elements as meter, overall compositional form and shape, duration, tempo, unison or solo introductions, register and register limitations, tunings in my case, possible guitar voices in Marks case, and instrument selection and combinations. Or maybe none of those, and one of us would just begin playing a piece with no prior discussion or revelation to the other as to what was about to happen. Nothing was rehearsed; after a brief discussion, wed roll tape, and the resultant first-take performance is what you hear on the record. As for favorite tracks, I dont think I have any! MARK WINGFIELD: It was entirely improvised. We had absolutely nothing planned or written down for any of the tracks on the album. Sometimes we might decide on a tempo, or who was going to start the piece and sometimes a few other options, like which instruments or patches would be used. But no music was written down or pre planned, all the actual musical ideas were crated as we played the pieces. The concept for this album and the previous one is to compose in real time. This means reacting to each moment in the piece as it arises and to each thing the other person plays. Listening to what they do, hearing what should come next and then playing that. So Kevin will play something, I will play what I feel should fit with that and visa versa. Then one or both of us plays what we feel should come next musically, and the other joins in or adds another dimension and visa versa. All the while we both have in mind that we are creating an overall compositional structure both harmonically and thematically. It takes a lot of concentration, but artistically, for me, its one of the most satisfying forms improvising. mwe3: Can you both tell us about the events youll be doing in the NYC area and other future plans involving this CD and other musical activities coming into 2013? KEVIN KASTNING: On November 5, Mark and I will be doing a live on-air performance at WFMU-FM radio in New York City. Because of the hurricane we will reschedule concert at Drom in New York City. 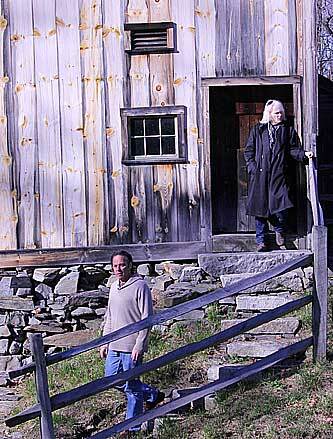 Then it is back to Massachusetts to Studio Traumwald, where well be recording our next album. This album will be released on Greydisc in 2013. I suspect this new album will be a further extension of the direction weve established; no doubt it will be deeper both in content and scope. Im bringing in some additional instruments for the sessions in addition to utilizing both Contras. I suspect Mark will bring in new samples and patches. As we work together more and more each year, I think there is an artistic bond that gets strengthened, and thats reflected in the music. One of the big changes for me on the upcoming recording sessions with Mark will be the fact that on the previous two albums, my main instrument was the 14-string Contraguitar in octave tuning. Now my main instruments are the 16-string Contraguitar in intervallic tunings, and the 17-string Contraguitar in octave tunings. I also plan on using the 12-string Octave guitar, classical guitar, and perhaps some fretless guitar on the upcoming sessions with Mark. For 2013, I already have four album releases confirmed. First up is a duo record with Belgian lutenist Gilbert Isbin. Gilbert is really an interesting artist in that he plays 8-course lute, but utilizing it in very 20th and 21st century harmonic approaches. This will be followed by a new record with woodwind artist Carl Clements which was recorded this year; this will be our second album together. There is a new trio album being released in 2013 with Sandor Szabo, Balazs Major, and myself; this is the same trio as the 2010 album Triptych, and was recorded on the 2012 European tour. 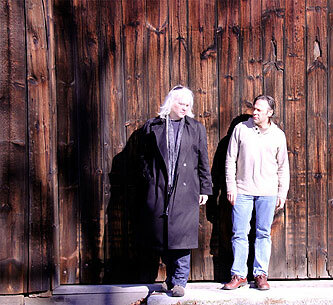 I also have a new duo album with Sandor in the can; that may be released in 2013, too. And of course the new one with Mark that were recording next week. 2013 is staring to fill up with recording dates, too. I have upcoming recording dates with cellist David Darling; not sure when that will be released, but hopefully in 2013. Early in 2013 I am recording a duo album with flautist R. Carlos Nakai; I am really looking forward to that. And a couple of rather major duo albums that I cant yet discuss, but will be announcing on my website soon. My musical partner Sandor Szabo will be here in the US in early 2013; well be recording a new album with pieces exclusively for multi-string guitars, and I may be again playing piano on a couple of those pieces. 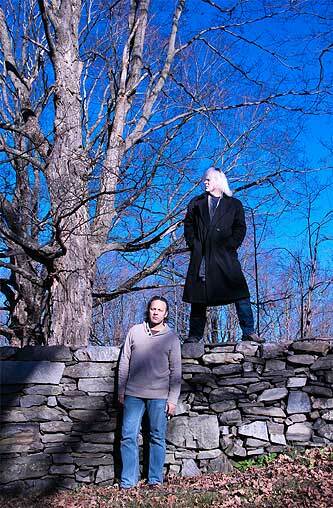 Bass wizard Michael Manring and I have agreed to record another album; that should be in 2013. Work has started on my solo album; Ill be delving into that much more deeply in 2013, now that I have the 16- and 17-string Contraguitars. I have a few more live on-air radio performances; one in December and then a couple more so far in 2013. And as of now, there appears to be two European tours shaping up for me in 2013. Its going to be a busy year! MARK WINGFIELD: We're just about to do a couple of things in NYC, including a live radio performance on WFMU. After this we head for Studio Traumwald for another recording session. Just before An Illustrated Silence I released a full band album with Rene von Grunig, Iain Ballamy, Yaron Stavi and Andi Motz called Cinema Obscura which is quite very different from what I'm doing with Kevin. For one thing there's a five piece band playing. But also because each of the songs is very composed. There are lots of improvised parts within the pieces and lots of improvised solos from everyone, but the pieces themselves are very composed, including the sounds and production. The concept was to create a cinematic musical experience. I have three albums planned for 2013. A new album with Kevin which we'll be recording in November. A trio album with drummer Asaf Sirkis and bassist Yaron Stavi and an album with Jane Chapman. Its a busy year for me in terms of composing as well. I had two new pieces premiered in London this summer and a lot of composing work scheduled for 2013.